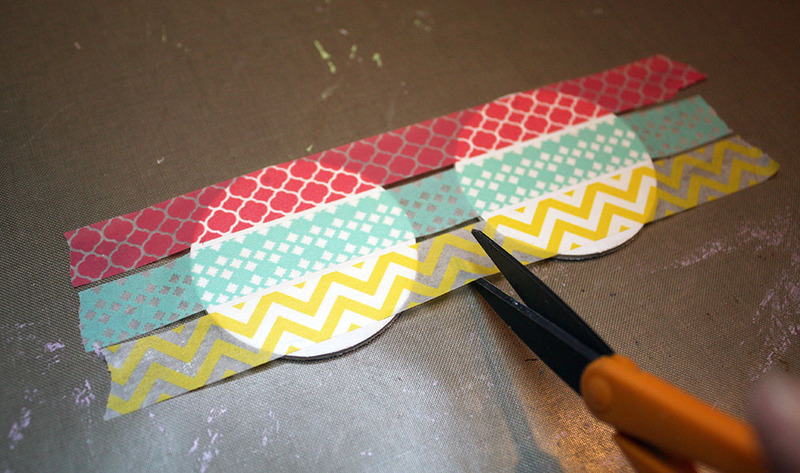 There's something absolutely irresistible about Washi Tape. I'm not sure if its inexpensiveness, its ease of use, its plethora of varieties, its versatility, or if it's something else entirely. It's hard to keep yourself from picking up a roll or two when they catch your eye. But how to use it all? 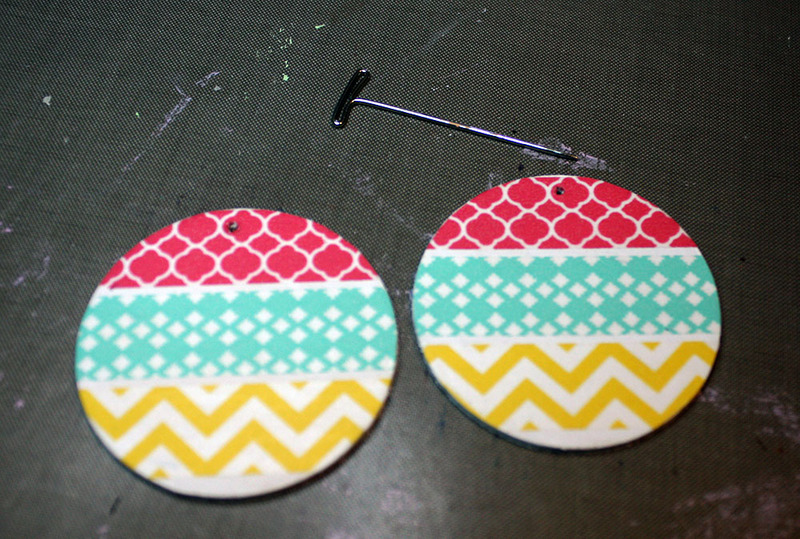 I don't have an answer of how to use it ALL, but making a pair or two of these simple earrings is a start! 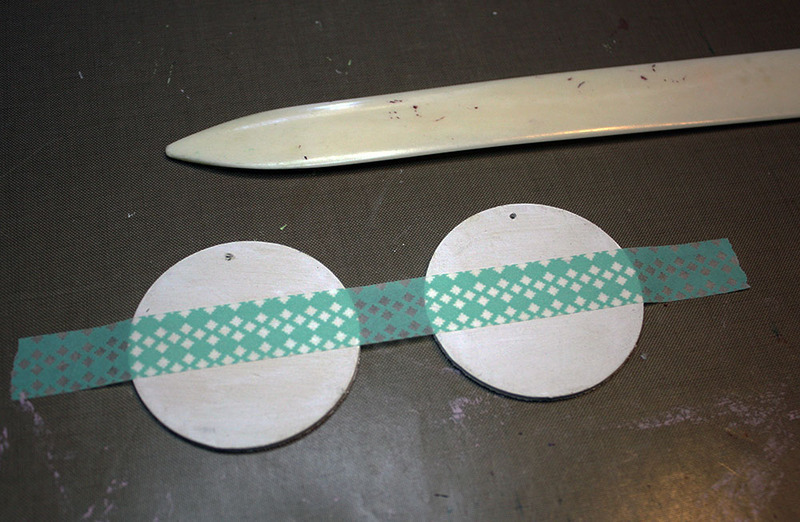 Begin by painting the front, back, and sides of your wood tags. This could take several layers, depending on the paint/color. 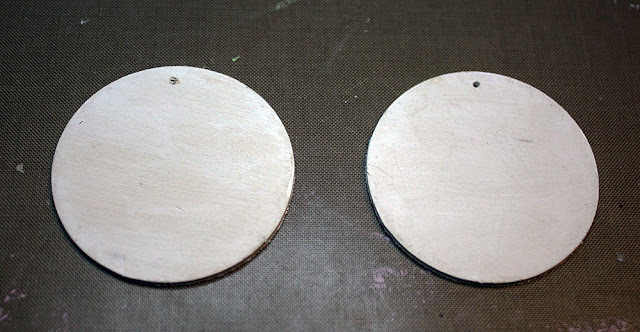 I like these tags because the holes are already drilled in them, making this project even easier. 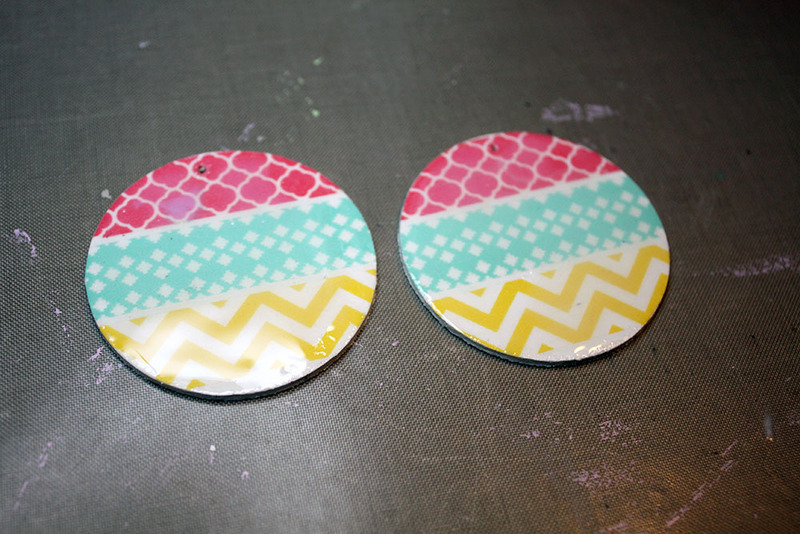 Also, keep in mind that some washi tape has transparent areas so whatever your background color is may show through. 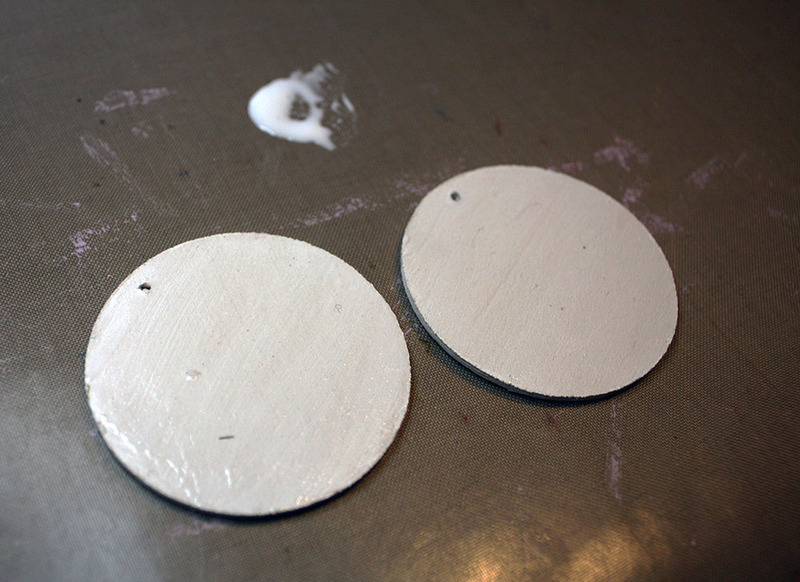 Once the paint is dry, place your tags side by side evenly. 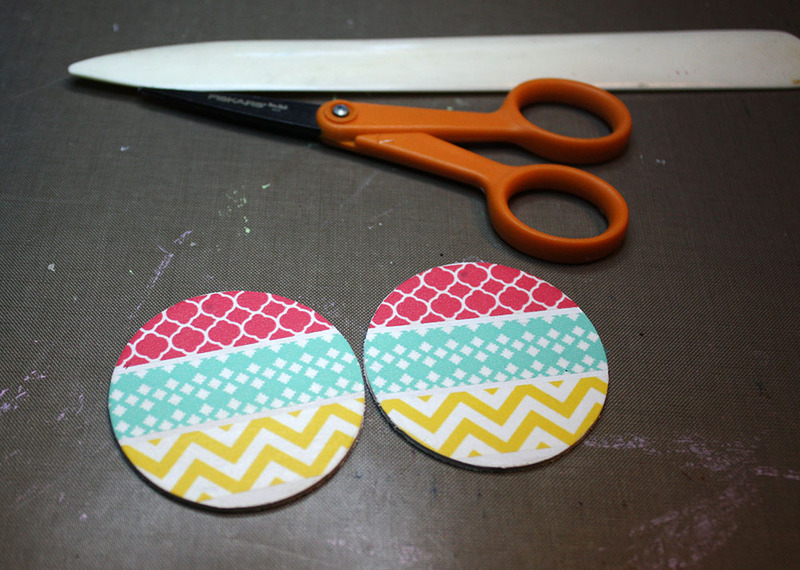 Apply your first strip of Washi Tape to both tags at once, beginning in the center of the tags. Stick the excess tape down on your work surface to keep it from moving around. 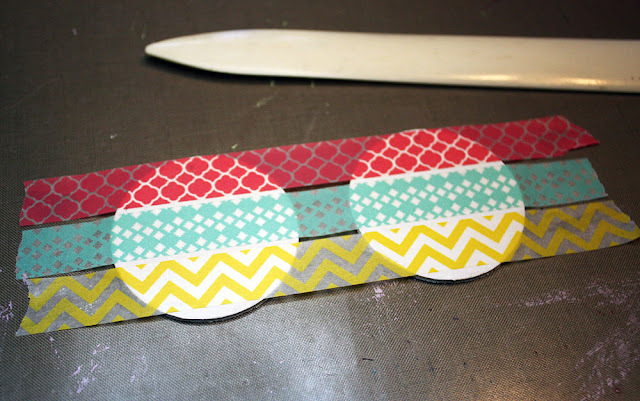 Use a bone folder (or another tool for rubbing) to secure the tape to the tags. Repeat this process until you have covered your tags with the tape. Carefully cut between the two tags. Avoid getting too close to the edge of either tag. Carefully peel the tags from your surface and turn them over to keep them from sticking back to your surface. 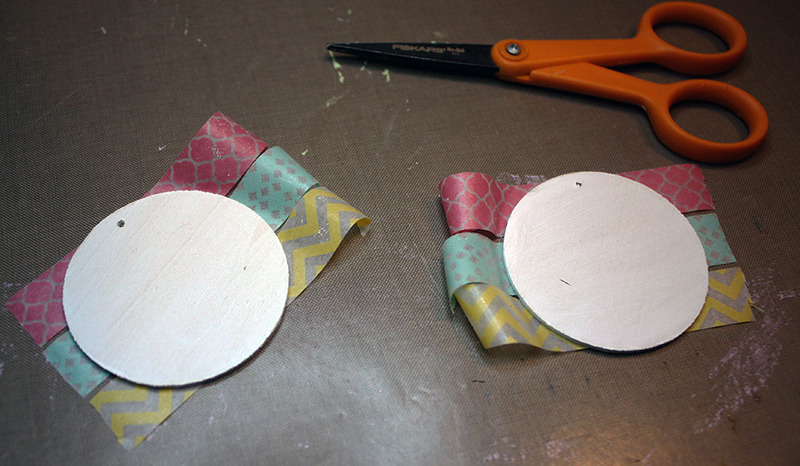 Trim off the excess tape, and make sure to rub over the tag again, paying special attention to securing the edges. If you want to make your earrings double-sided, this is the point where I would begin to repeat the previous steps. Use a t-pin to poke through the original holes in the tags. 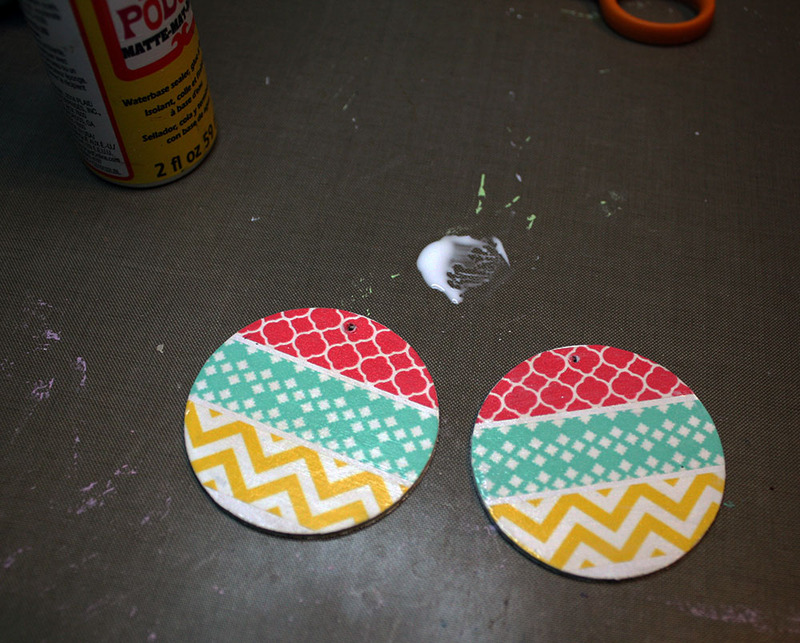 Paint a thin layer of Mod Podge over the front and sides of the tag. Let it dry completely. Top the tags evenly with a dimensional glaze (diamond glaze, dimensional magic, glossy accents, resin, etc.). Make sure to avoid the open holes. Allow it to cure. 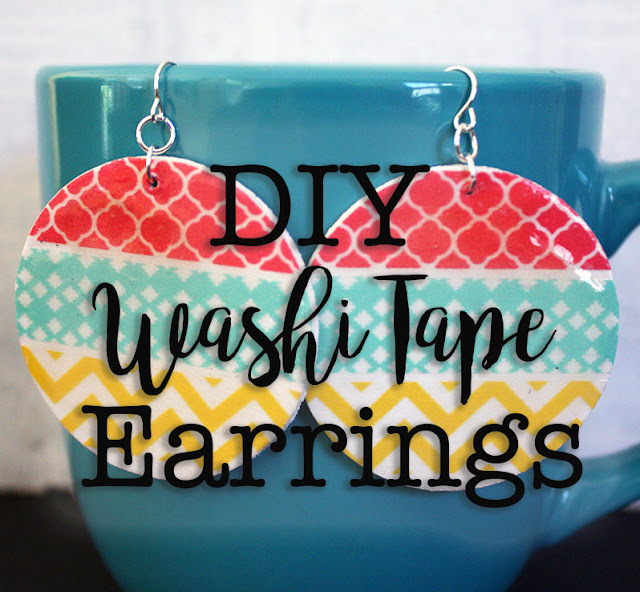 Once your tags are completely dry on both sides, attach the ear wires with jump rings. I used two jump rings on each tag to help ensure that the patterns face forward while hanging. Use my tutorial on opening and closing jump rings if you are unsure how to do this. 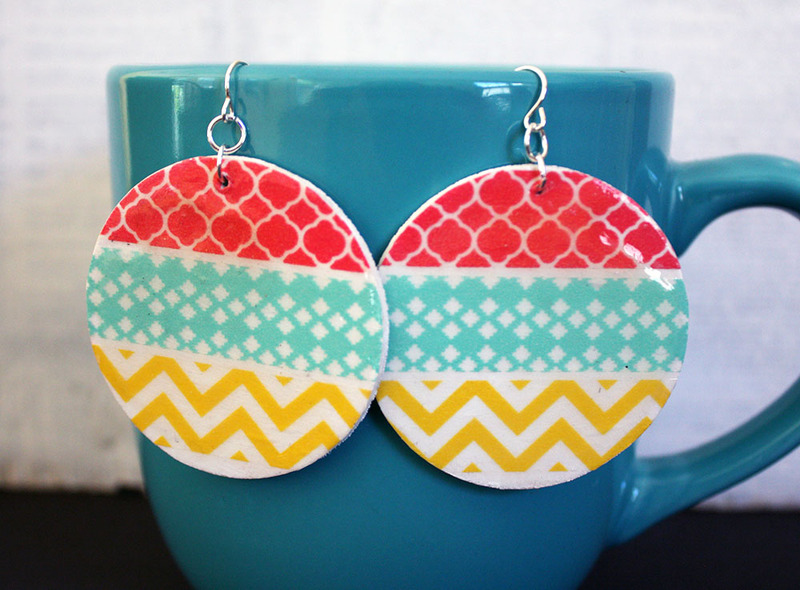 And, just like that - you have a pair of fun, handmade earrings! 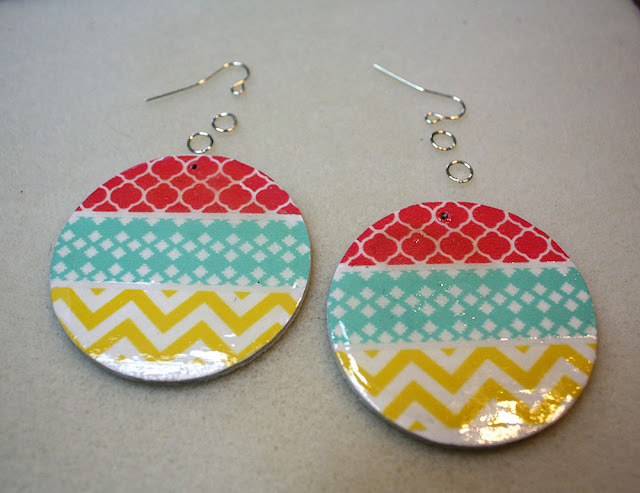 The colors in this example pair feel very spring/summery to me; but with the variety of Washi Tape out there, you can make jewelry for any season, holiday, event, emotion, or personality! I'm linking up at the Friday Frenzy Food and Crafty Link Party, Sweet Inspiration Link Party, and Saturday Sharefest at The Sway. Thanks Ann!! I appreciate you taking a peek! What a fun project, indeed! I love washi tape and use it for decorating small gift packages. 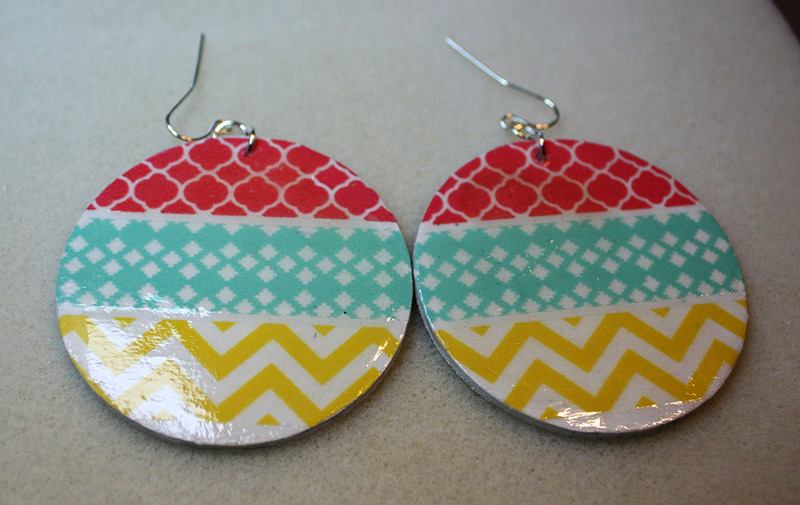 The earrings are so summery and lightweight and you can wear them with outfits in so many colors, great! Everything you said is exactly on point with these. And, they are SO EASY! Thanks Rosantia! I have so much washi tape...what a great idea!! !